find (i) max-value (ii) frequency (iii) time period(3 marks) 1(d) What is the necessary condition for resonance in series circuit. Derive expression for resonance frequency. (3 marks) 1(e) What is the relationship between line and phase values in star and delta connected load. (2 marks) 1(f) Draw and explain the phasor diagram of 1-ϕ(4 marks) 1(g) Define rectifier and state diff. Types of it. 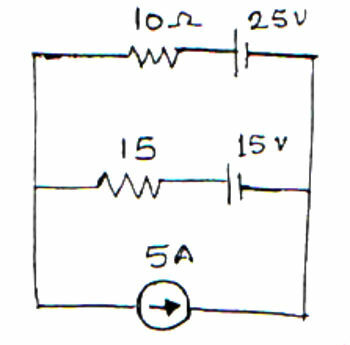 (2 marks) 2(a) Find mode voltages. (7 marks) 4(b) Find the average and rms value of the waveform. 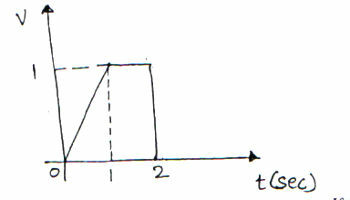 (8 marks) 5(b) For the shown ckt, find supply current, current in each branch and total Pf. 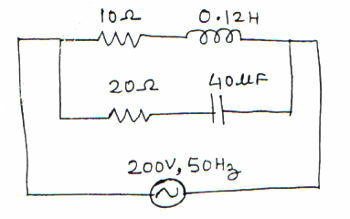 (7 marks) 6(b) A series R-L-C circuit consists of R = 1000 Ω, L = 100 mH and C = 10μF. The applied voltage across the circuit is 100V.